This shop has been compensated by Collective Bias, Inc. and its advertiser. All opinions are mine alone. #LoveYourLawn #CollectiveBias Here I’m sharing information about a $1,000 Walmart gift card giveaway sponsored by Scotts® and a Picnic Game you can play with your kids at your next picnic. The printable picnic game has been discontinued. Spring is in the air! And you know what that means? Time to get outside and enjoy warmer weather. 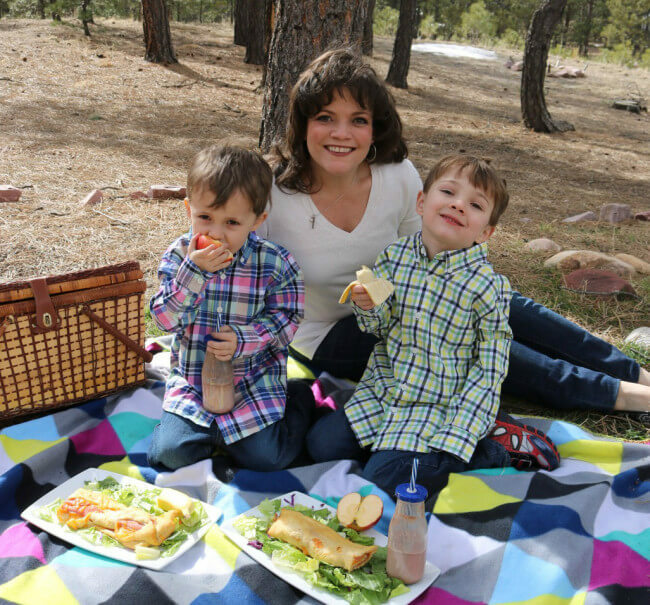 The boys and I can’t wait to spend more time in the sunshine and one of our favorite things to do is head outside and have a picnic. These are the things I like to pack for our outdoor picnics. Hopefully, you’ll find some fresh picnic ideas here. You may also notice the green grass that’s popping up in our back yard. 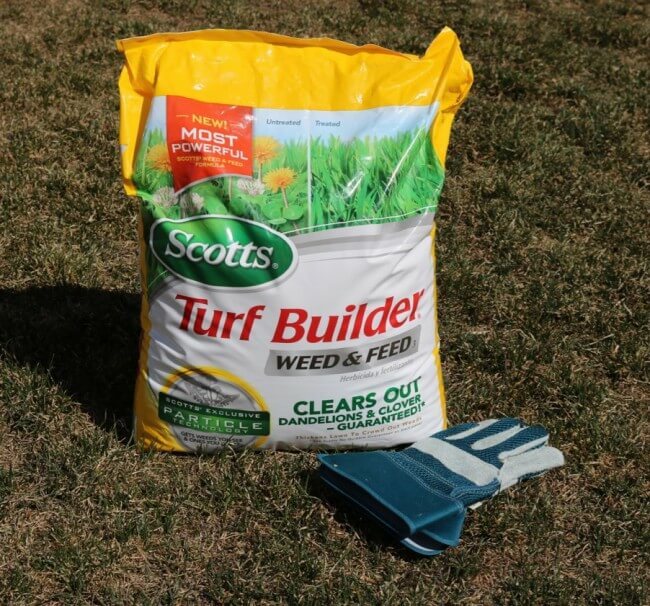 Green grass grows faster and thicker when we use lawn food like Scotts® Turf Builder® Weed & Feed. Looking for specific information for how Scotts® Turf Builder® Weed & Feed can help solve your lawn problems? Click here to sign up for the Scotts® email reminder service to receive specific tips and information for your area! Scotts® is just as excited about the warmer weather as my family and they want to help folks get their lawns ready for the spring and summer seasons. So they’re giving away a $1,000 gift card to one lucky winner. There are other prizes too. Enter to win some fabulous lawn care items from Scotts®. You can find more lawn care equipment and expertise at Walmart. Plus check out all the great ideas for outdoor fun and lawn care at the Scotts® Social Hub. And if you want to check out Scotts® entire line of lawn care products visit the Scotts® brand web site. This Printable pack has been discontinued. When it was available, this 20 page activity pack for kids included a fun FREE Printable Picnic Game for matching food pairs. 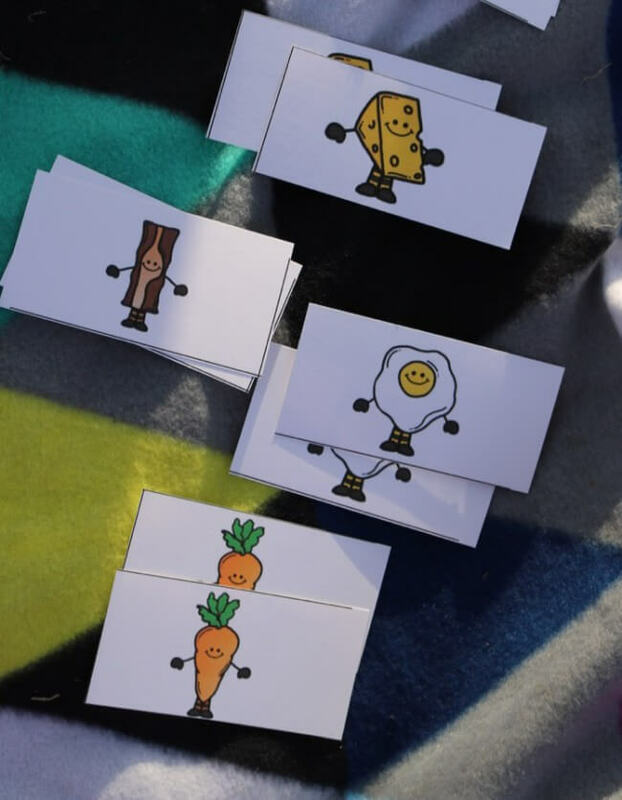 It’s easy to use, just print and cut to create pairs of food cards that kids will love to play with. You can print two copies and have kids find the exact match or just print one copy and have kids find the matching food pairs. Either way, it’s loads of fun! Keep scrolling for your free printable food pairs game. This Printable pack has been discontinued. 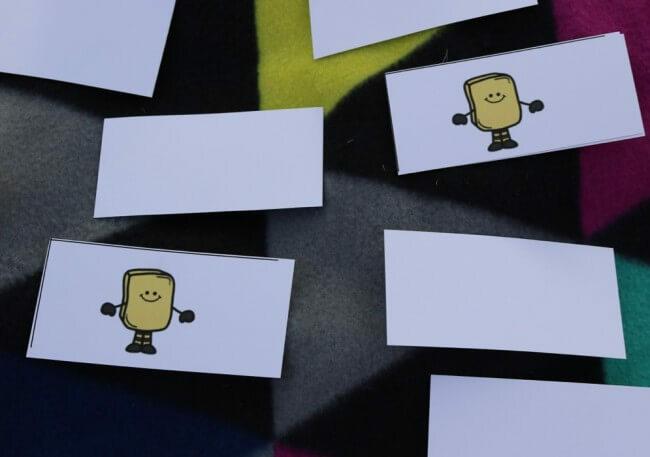 To play the game, print two copies of the food cards, cut and trim the cards to make them all an equal size, and spread them out on a blanket face down. have kids take turns trying to find a matching pair. Kids can turn over one card and then try to find it’s match in one, two or three tries. You decide how many tries you want to give them to find a match. If the player finds a match, they turn the unused cards back over and gather up the matched pair. You can decide if a matched pair means they get another turn or if you want to move on to the next player. Keep playing until all the cards are matched and celebrate with a family WIN! 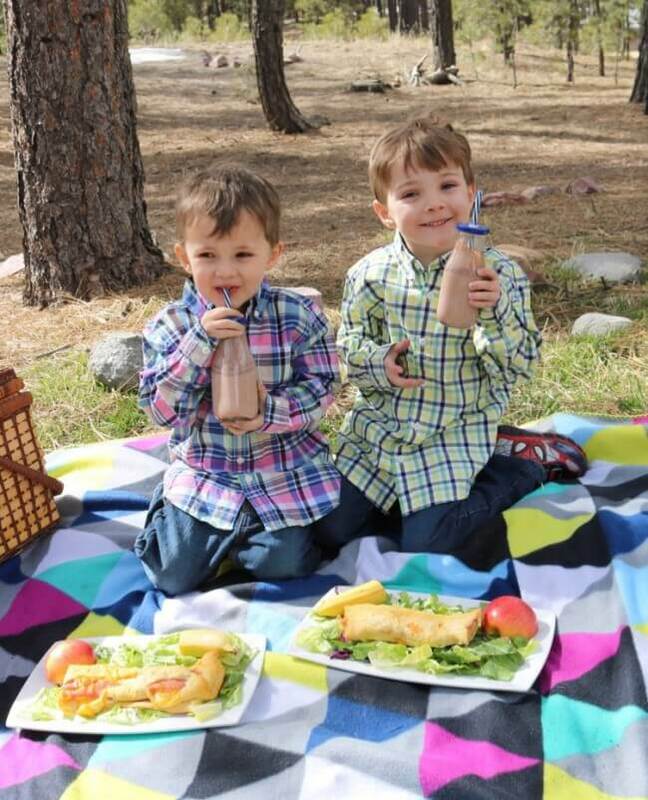 Just click the button below to download your Printable Picnic Game with 20 pages of Food Pairs activities and card playing game fun! This Printable pack has been discontinued. 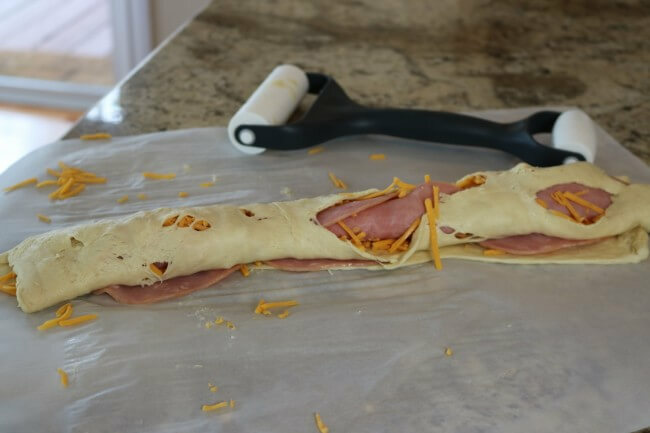 You may not believe it, but baking a ham and cheese roll-up is less messy than fixing a sandwich. This baked goodie stays together due to the melted cheese and keeps family members free of peanut butter, mustard or mayonnaise that you might use in a typical sandwich. 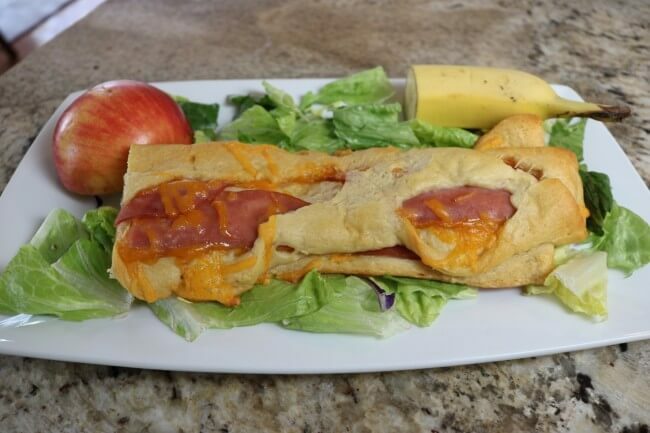 You only need three ingredients for this easy recipe for Ham and Cheese Roll Ups. Open the Croissant Rolls package and use a roller to roll out the dough on parchment paper. Use your fingers to push the dough together where it is separated. Sprinkle on the cheddar cheese. 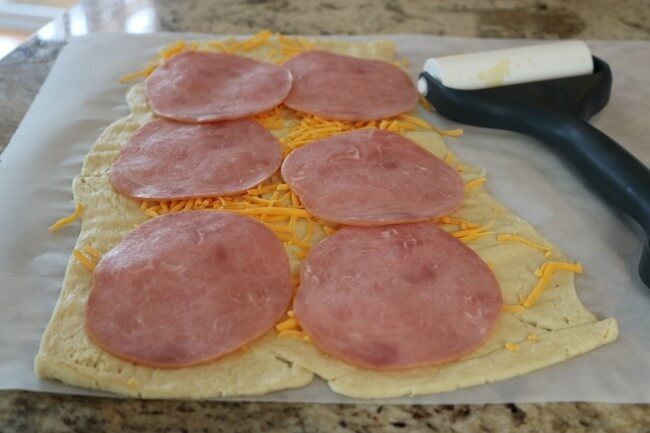 Lay the ham slices on top of the cheese. Bake approximately 15-18 minutes at 350 degrees. When you’re packing food for a picnic it’s great to have something that stays together. Plus it’s hearty and filling and makes for a great picnic-time lunch. Speaking of picnics, the green grass under our picnic blanket was soft and lush thanks to Scotts® Turf Builder® Weed & Feed. You can find everything you need for the game cards and recipe at Walmart. 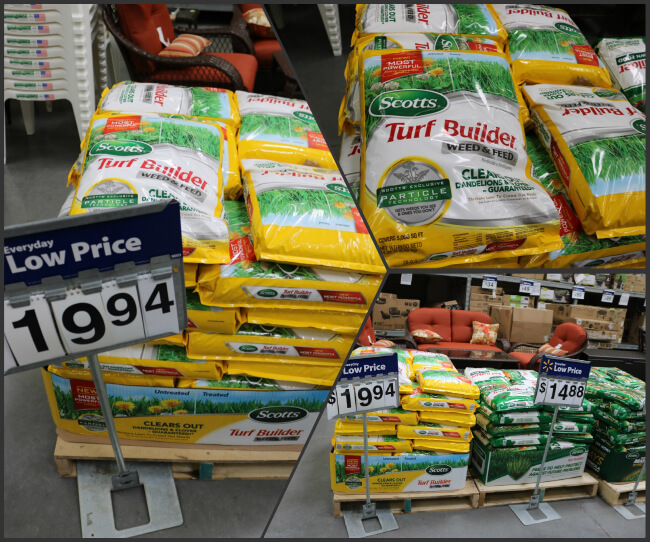 Plus, find Scotts® Turf Builder® Weed & Feed in the gardening area of the store. 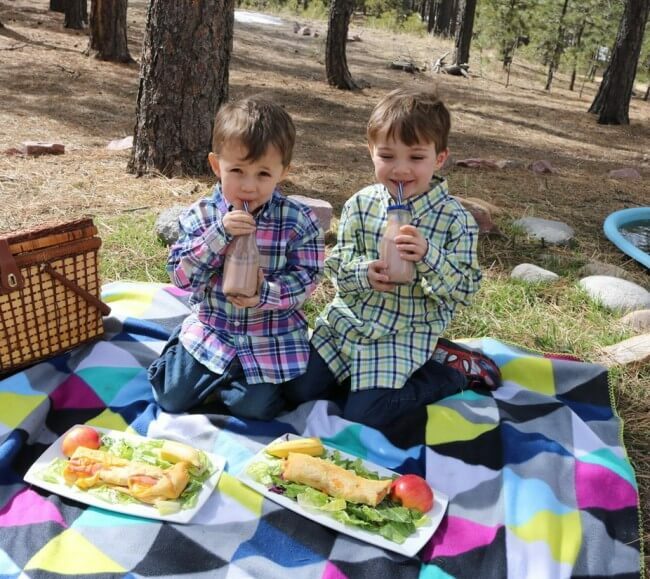 What are your favorite Picnic Tips? What are your plans for getting outside now that the weather is warmer? Have any picnic plans on the calendar? How about some picnic tips for HappyandBlessedHome.com readers? I’m always looking for new ideas. Please leave a comment or recipe idea below and join the conversation. I love hearing from you! Speaking of family picnics, I have some wonderful activities for creating memorable family-fun. These are some of the family fun posts loved by nearly 40,000 fans! Make sure to subscribe so you don’t miss any of my free printables, easy recipes, or games and activities for family fun! Subscribe Here. Thanks for being a fan! Do you have a board for outdoor fun or DIY lawn care on Pinterest? Help spread the word and PIN this post on Pinterest! What a great resource for families.